Published: April 26, 2011 at 09:32 p.m.
Chad Ochocinco wanted out of Cincinnati so badly before the 2008 season that he went on a nationwide tour of sorts to proclaim as much. Now the wide receiver believes he's being kicked to the curb. He said as much on his Twitter account Tuesday. "He'd be perfect, i've done all I can, my time is up," Ochocinco tweeted, replying to another tweet asking if he believes the Bengals might draft Georgia wide receiver A.J. Green to replace him. Ochocinco went on to say that Bengals coach Marvin Lewis "is mean to me now so I think I am gone." Of course, as we all know, Chad has an affinity for the dramatic, but he could very well be on the mark regarding his tenure in Cincinnati. I've spoken to people in the organization who said Lewis has become tired of Ochocinco's attention-seeking ways -- and the coach isn't the only one. Whether that's enough for a split remains to be seen, but there could be more to it. 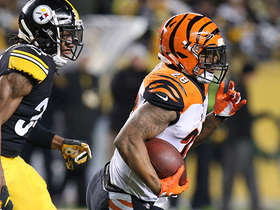 The Bengals could be amid a watershed period. 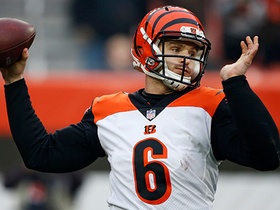 With quarterback Carson Palmer threatening to retire if he's not traded, Lewis and Bengals owner Mike Brown have said they will find a new quarterback. Running back Cedric Benson is a free agent, and wide receiver Terrell Owens is available for hire elsewhere. Offensive coordinator Bob Bratkowski was fired. Maybe the Bengals will go for a clean sweep by cutting Ochocinco. Chad tweeted that Lewis has "gone overboard to publicly chastise the one guy who loves him." Right there, Ochocinco let us know that maybe Lewis isn't the most-liked person in the building. Breaking news: A lot of coaches aren't loved, and a lot of them are mean. A lot of them also are still employed, including Lewis, who recently signed an extension. 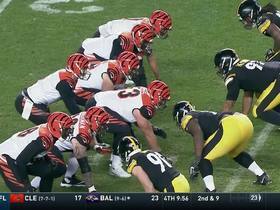 Now, it's hard to say the Bengals are all of a sudden taking a stand on principle because, for years, they've done things and hired players who dispel any notion of principle. However, Cincinnati took a major step backwards last season after winning the AFC North in 2009, and maybe it's as simple as making changes. I know they prefer Palmer as their quarterback. If he doesn't want to play, then Brown will wish him well in retirement. Brown won't be bullied. Ask Ochocinco. He wanted to be traded, and that didn't happen. Other than that, a shakeup looks probable. Upstart wide receivers Jordan Shipley and Jerome Simpson finished the season strong and provided hope -- and have opened the door for transition. Adding another fresh face and getting rid of an older one will happen at some point. The same thing happens with other teams. The New England Patriots traded Randy Moss. The Arizona Cardinals dealt Anquan Boldin. Steve Smith could have played his last down with the Carolina Panthers. Jeremy Shockey was released by the New Orleans Saints, and Reggie Bush could be right behind him. It might hurt Ochocinco that Lewis has chastised him. He also might be bothered by having to move on from a city and a team of which he has been a part for 10 years. That's the way things go. 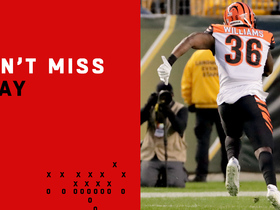 And if Green, or whomever the Bengals replace Ochocinco with, does well, then so be it. After all, Chad Johnson (pre-Ochocinco) moved somebody out back in the day.